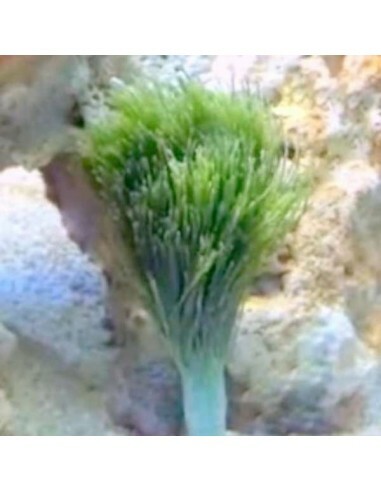 This ornamental macro algae is commonly called Shaving Brush Plant as it features a long stalk with leaves growing like a brush. A great addition for the marine tank which can compete which corals easily. Once in the aquarium it is easy to keep placed in a deep enough substrate. This species grows taller than other Pecillus species. By buying this product you can collect up to 12 loyalty points. Your cart will total 12 points that can be converted into a voucher of £ 0.24. This macro algae prefers good light. Its deep blue colour is best to reach with a 6500k-10000k light, but with direct sunlight or out of the water it turns brown. Penicillus Dumetosus is not very palatable. It is best kept in the substrate, where it will develop rhizoids to hold itself in place. 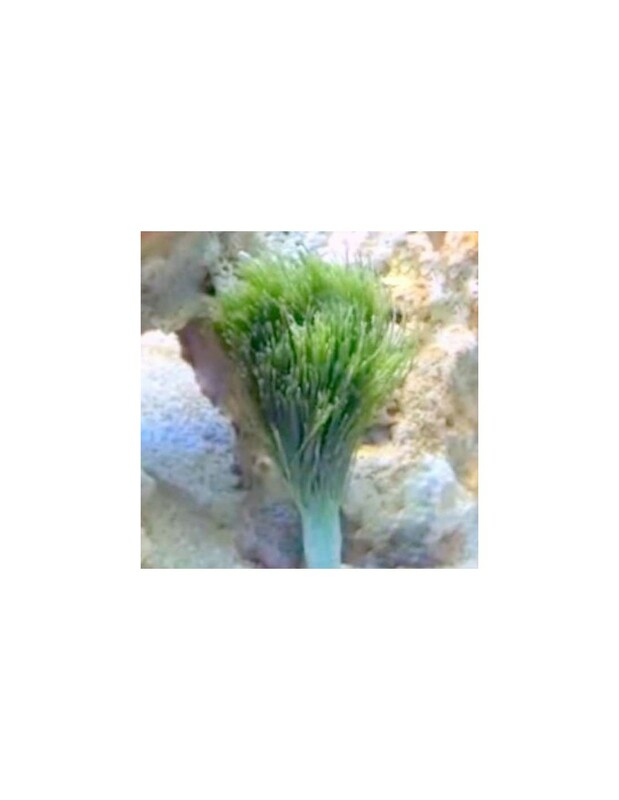 This macro algae prefers not too high levels of Nitrate and Phosphate and will grow better with the additional supplement of Iron, Magnesium and Trace elements. As it is a calcified macro algae a sufficient Calcium level should be maintained. I have placed an order now where the algae are not in stock. But rather than tell me that at checkout so I can go elsewhere I have been charged.